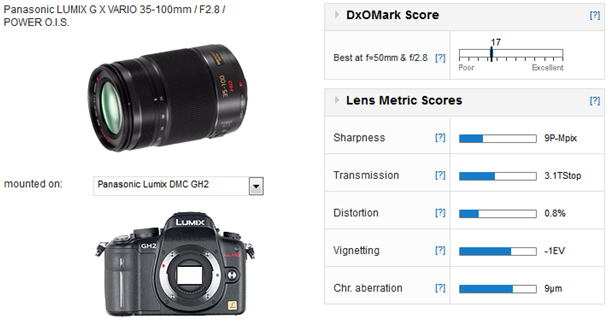 Converted to 35mm equivalent focal lengths the Lumix 35-100 is equivalent to a 70-200. It has a fixed maximum aperture of f2.8 throughout the range and has Panasonic’s Power O.I.S (Optical Image Stabilization) built in. Power O.I.S is Panasonic’s highest performance stabilization technology. Optically the 35-100 comprises 18 elements in 13 groups. Two of the elements are ED (Extra-low Dispersion) glass and one is UED (Ultra Extra-low Dispersion) glass. Minimum focus is 0.85m giving a maximum magnification of 0.1x. For a fast, telephoto zoom the weight and size at just 360g and 99.9mm are quite small. 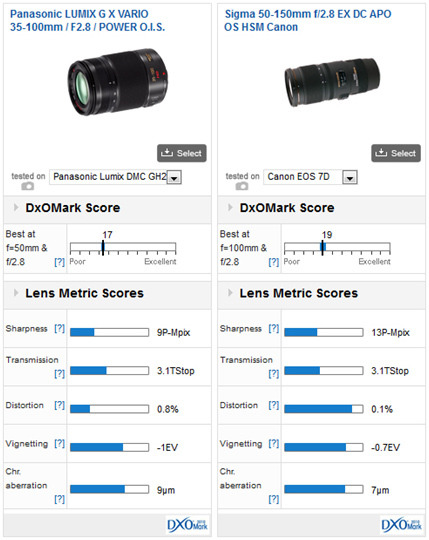 With a DxOMark score of 17 the Lumix G X Vario 35-100 is one of the two best zoom lenses available for Micro 4:3, the other being the Lumix G X Vario 12-35 which we mentioned before, the score of 17 is also very consistent throughout the focal length range. 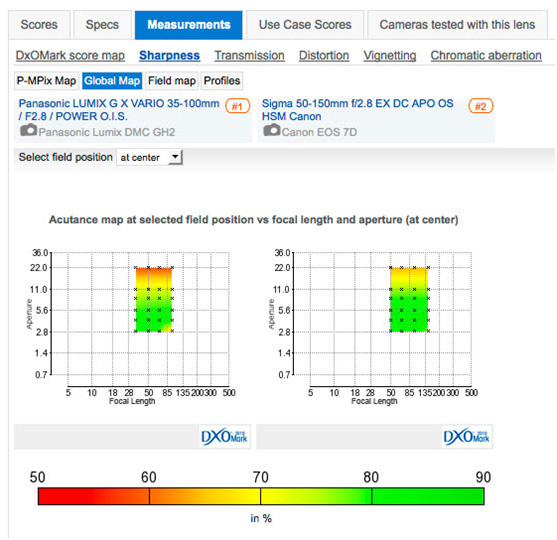 The specific scores are consistently ‘best in class’, comparing very well with other Micro 4:3 zoom lenses. Distortion is an issue at 35mm but not to the point where it is a problem, it could easily be rectified using DxO Optics Pro. 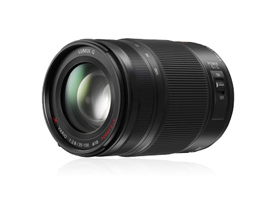 Panasonic’s Lumix G Vario 35-100 is not a cheap lens, like its ‘Standard’ counterpart the 12-35 it is aimed at people who want a decent level of quality in this compact and convenient format. The nature of Micro 4:3 is such that many purchasers are likely to want the versatility of zoom optics, since this is the case then these two, very capable lenses seem to be the ideal solution, certainly the best kit available based around zoom lenses.